Product prices and availability are accurate as of 2019-04-19 05:28:03 UTC and are subject to change. Any price and availability information displayed on http://www.amazon.com/ at the time of purchase will apply to the purchase of this product. Author Bookstand is proud to offer Doubt and Redemption by Bookstand Publishing. Bookstand Publishing offers books by the best indie authors throughout North America and the world. Bookstand Publishing is dedicated to offering original content to a broad audience and promoting great authors, literacy, and freedom of expression. 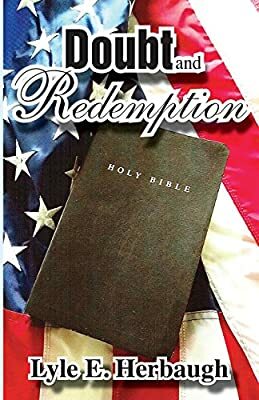 Doubt and Redemption has generated a lot of interest and excitement and we think it would be an excellent addition to your library. Anthony Peterson was raised in the 1950s by strict fundamentalist Christian parents. They believed the Bible was literally true, and that you must live your life in strict accordance with scripture. There was no need for interpretations or searching for deeper meaning, the Bible told you everything you needed to know about life. After graduating from seminary, he married Betsy Millison, and entered the ministry. 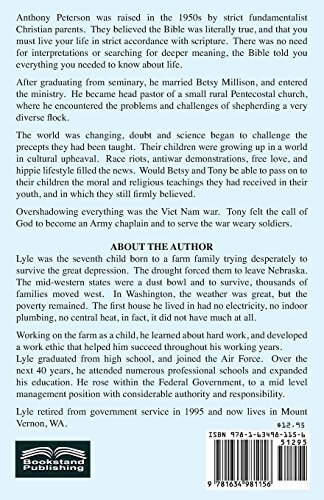 He became head pastor of a small rural Pentecostal church, where he encountered the problems and challenges of shepherding a very diverse flock. The world was changing, doubt and science began to challenge the precepts they had been taught. Their children were growing up in a world in cultural upheaval. Race riots, antiwar demonstrations, free love, and hippie lifestyle filled the news. Would Betsy and Tony be able to pass on to their children the moral and religious teachings they had received in their youth, and in which they still firmly believed. Overshadowing everything was the Viet Nam war. Tony felt the call of God to become an Army chaplain and to serve the war weary soldiers.